Blackout curtains can completely transform any room. They can help you sleep better by reducing outside light and noise. They can enhance privacy and even provide insulation to keep the room at the optimal temperature. They can also help protect your furniture and valuable possessions by blocking out harmful sunlight and UV rays. By saving you money on monthly heating and cooling costs, the curtains can pay for themselves in no time. Blackout curtains are made of opaque fabrics used to give any room the appearance of darkness by blocking out light. They are available in endless colors, designs, and styles, so you can choose the one that best compliments your home. Typically, darker colors have a better blackout effect. Amazon’s Choice for heat curtains, the Best Home Fashion Thermal Insulated Blackout Curtains can block light and keep your home warm at the same time. The set of two energy-efficient, machine-washable curtain panels blocks noise, ensures privacy, and doesn't require stiff liners. The curtains have an innovative triple weave fabric construction that blocks out up to 99.9 percent of light, heat, cold, and UV rays. They have two hanging options and are available in various sizes and colors. They are backed by outstanding online reviews, including more than 5,000 five-star reviews on Amazon. 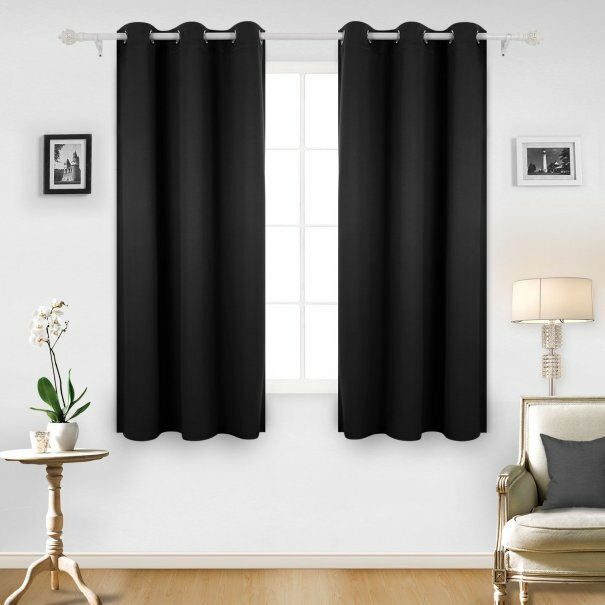 Amazon’s Choice for blackout curtains, the NICETOWN Thermal Insulated Grommet Blackout Curtains block up to 99 percent of outside light and UV rays. The innovative triple weave technology offers privacy, temperature insulation, and noise reduction. 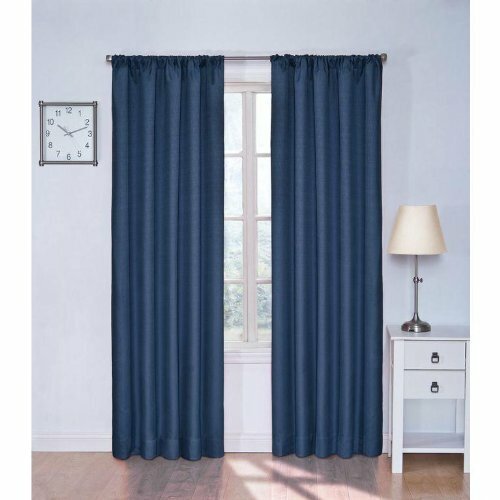 The two machine-washable, energy-efficient blackout curtain panels have six grommets and an elegant design. They are also available in various sizes and colors to highlight your decor. They are backed by outstanding online reviews, including more than 3,500 five-star reviews on Amazon. 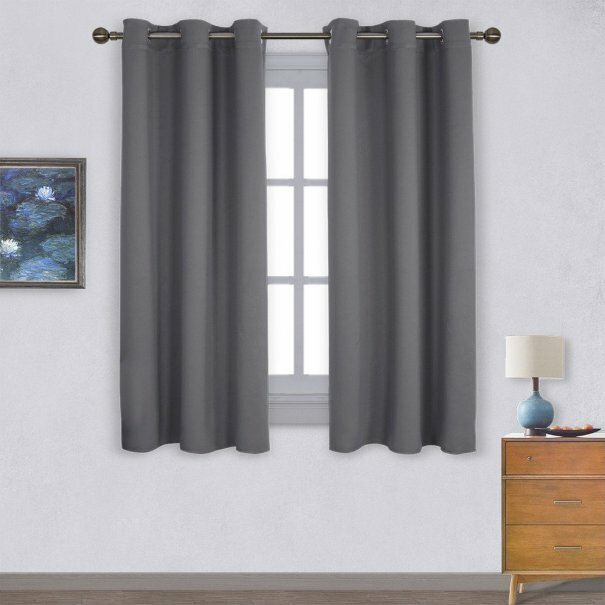 Amazon’s #1 best-seller in window treatment panels, the Deconovo Room Darkening Thermal Insulated Blackout Curtains can keep your room dark while providing temperature insulation. 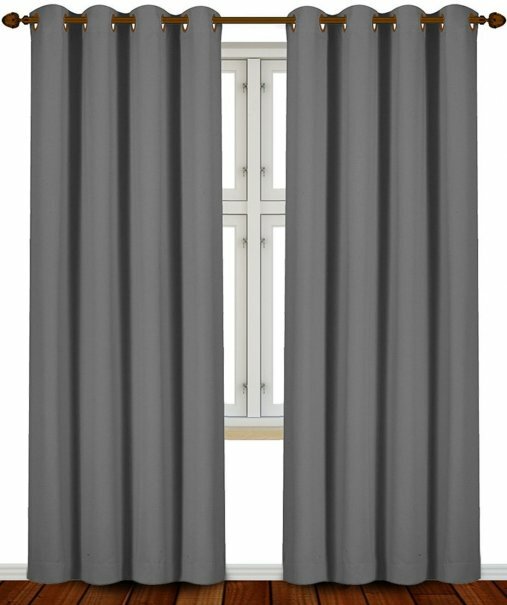 The machine-washable, energy-saving thermal insulated blackout curtain panel has six silver grommets and an innovative triple-weave fabric construction that can block out light and UV rays, provide additional privacy, and reduce outside noise. It's available in various sizes and colors, and is backed by outstanding online reviews, including more than 3,000 five-star reviews on Amazon. The Utopia Bedding Blackout Room Darkening Curtains are energy-efficient and offer thermal insulation. They also block up to 99 percent of light, provide additional privacy, and reduce outside noise by about 60 percent. The set of two machine-washable panels is available in various colors and comes with eight rust-free grommets and two matching tie backs. They're backed by outstanding online reviews, including more than 3,000 five-star reviews on Amazon. The Eclipse Kendall Thermaback Blackout Single Panel blocks out up to 99.9 percent of outside light, offers maximum privacy, and even reduces noise. The machine-washable blackout panel can also help save energy thanks to the patented Thermaback thermal coating, which insulates heat and cold. 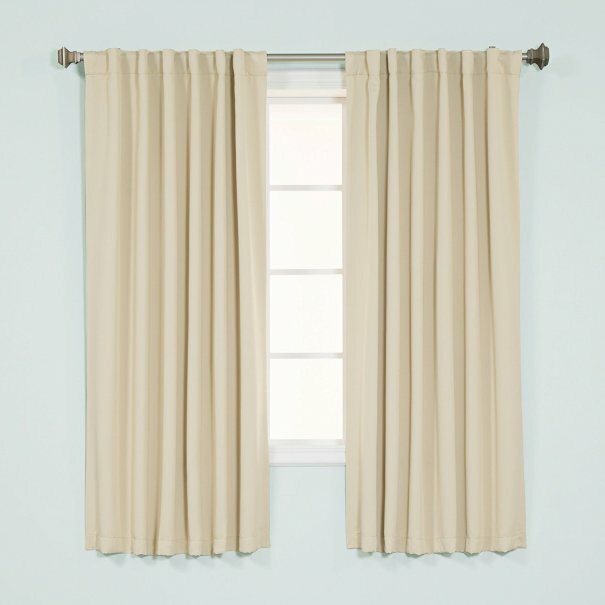 The single curtain panel has two hanging options and is available in various sizes and colors. It's backed by outstanding online reviews, including more than 2,000 five-star reviews on Amazon. 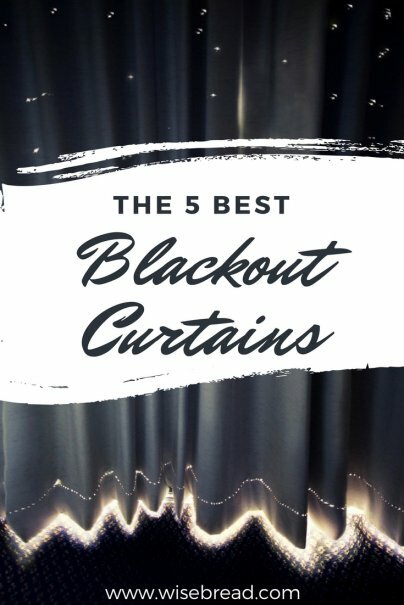 And those are our recommendations for the best blackout curtains. As always, be sure to check Wise Bread's Buying Calendar to learn when and how to buy just about anything!